HYDROGEN SULFIDE and sulfate-reducing bacteria are two forms of sulfur most commonly found in drinking water supplies. Both forms are nuisances that usually do not pose a health risk at the concentrations found in domestic wells, but can cause major aesthetic problems. Hydrogen sulfide gas, which causes a rotten egg smell in water, occurs naturally in certain ground waters containing decaying organic matter, such as marshes, swamps, wetlands and river beds. It may be found in either deep or shallow wells. Hydrogen sulfide is often present in wells drilled in shale or sandstone, or near coal or peat deposits or oil fields. Hydrogen sulfide gives water a “rotten egg” smell and taste, and can cause nausea. It is corrosive to metals such as iron, steel, copper and brass and it can tarnish silverware and discolor copper and brass utensils. It can also cause yellow or black stains on kitchen and bathroom fixtures. Coffee, tea and other beverages made with water containing hydrogen sulfide may be discolored and the appearance and taste of cooked foods can also be affected. 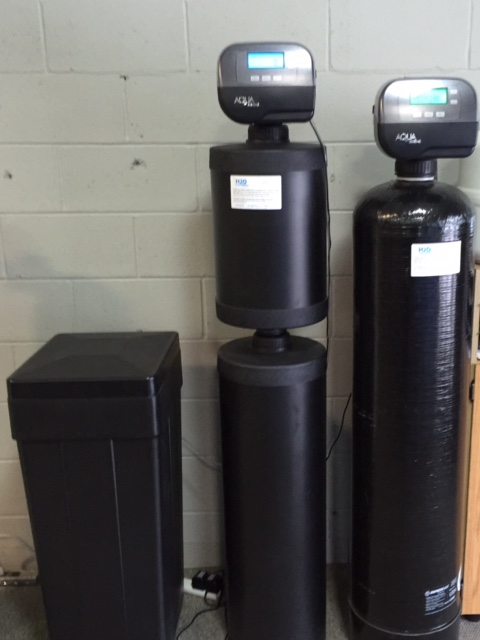 High concentrations of dissolved hydrogen sulfide also can foul the resin bed of an ion exchange water softener. Hydrogen sulfide can be difficult to test because the gas escapes into the atmosphere so quickly. Onsite testing is the most accurate method for determining concentration, especially if the odor is excessive. The odor is difficult to mistake. Concentrations greater than 5 mg/L are more difficult to treat and could require special testing methods to assure accuracy. The EPA sets standards for secondary water contaminants based on color, odor, taste, corrosiveness, foaming and staining properties. Hydrogen sulfide is not regulated because any concentration high enough to pose a health hazard will also make the water too unpalatable to drink. Hydrogen sulfide treatment can be treated with chlorination, aeration followed by filtration or ozone infusion, depending on the level found in the water. Often, treatment for hydrogen sulfide is the same as for iron and manganese, allowing the removal of all three contaminants in one process. Based on the total water chemistry, the best approach can be determined. Most water heater anode rods contain some sulfate therefore, If the water contains sulfate-reducing bacteria, a rotten egg odor is created in the hot water only. If this occurs, the first course of action is to replace the anode rod with an aluminum-based rod which limits the sulfate and therefore stops the odor. Sulfate-reducing bacteria is treated with continuous chlorination. Removing sulfate mineral is difficult and usually not feasible, so chlorination kills the bacteria instead. The chlorination process involves a chemical feed pump system that injects a chlorine solution into the inlet of a retention tank that must be installed in the house piping. There are other considerations as well in this process which can be discussed with your water treatment professional. 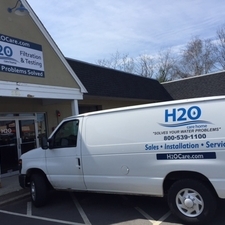 H2O Care is an established Massachusetts based water filtration and testing company formed in 1989, with offices in Middleton (259 South Main Street) and Hudson ( 439 Main Street) &, MA. Articles published by the company in Water Technology Magazine can be seen at the company website http://www.h2ocare.com in the publications section. Contact us by email at service@h2ocare.com or by calling us at 800-539-1100.